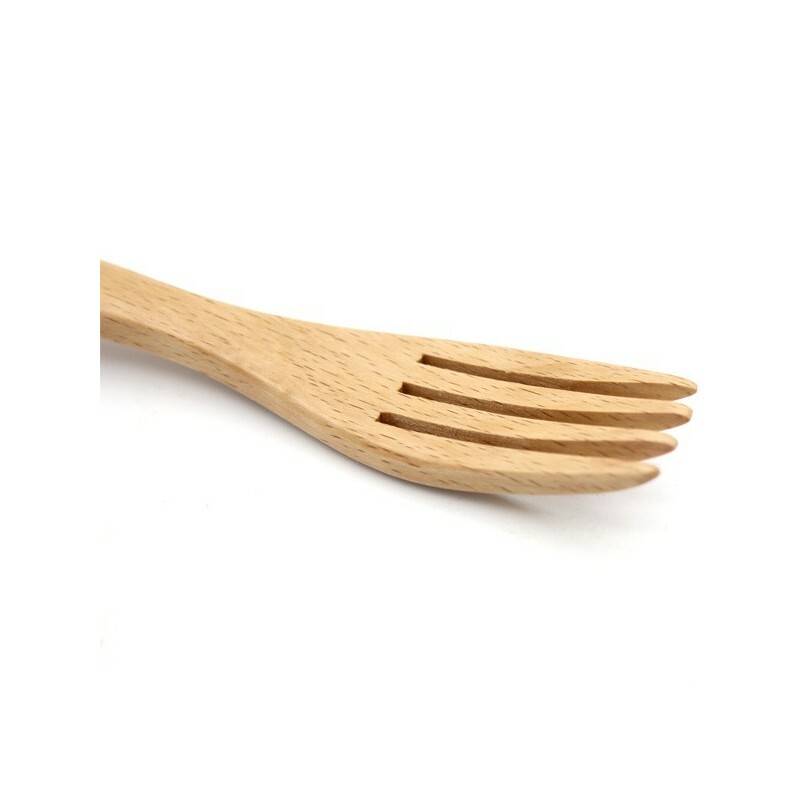 A zero waste and vegan friendly double-ended reusable spork. 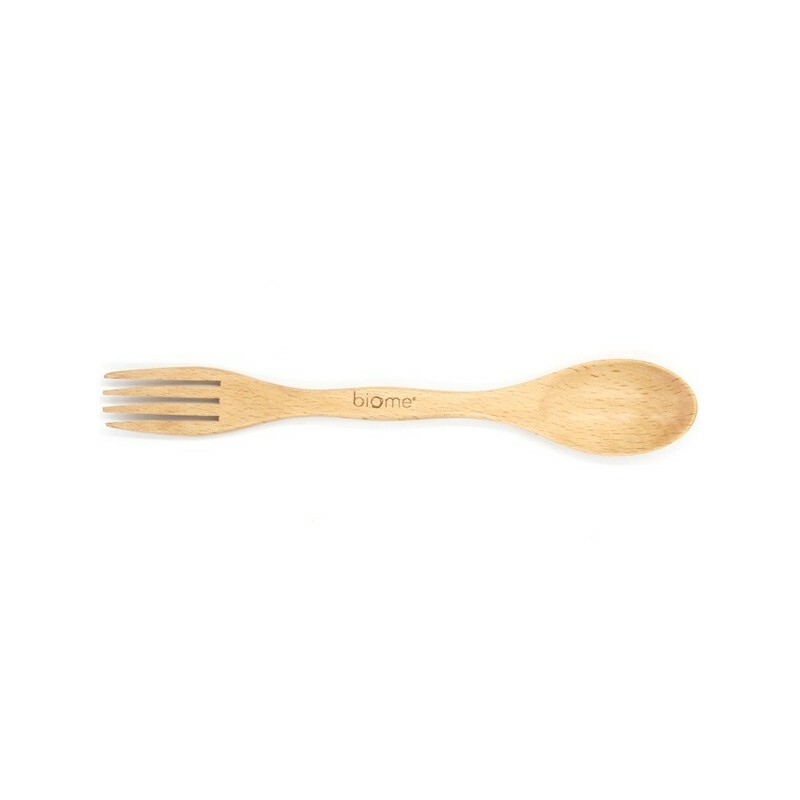 Made from high quality beechwood and coated in a food-safe water-based lacquer, our Biome spork is sealed and offers a soft mouth-feel. 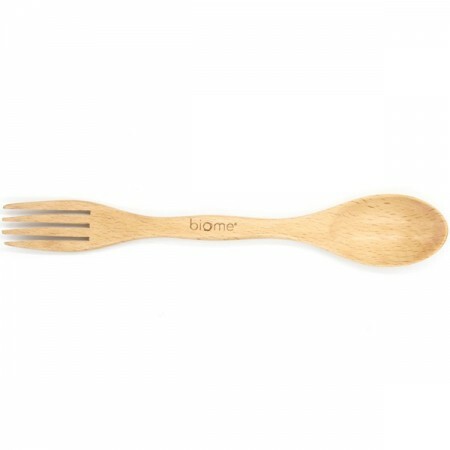 This reusable cutlery piece is super sturdy and features an ergonomic curved handle for a comfortable grip. Perfect for lunches, camping, outdoor and everyday use. 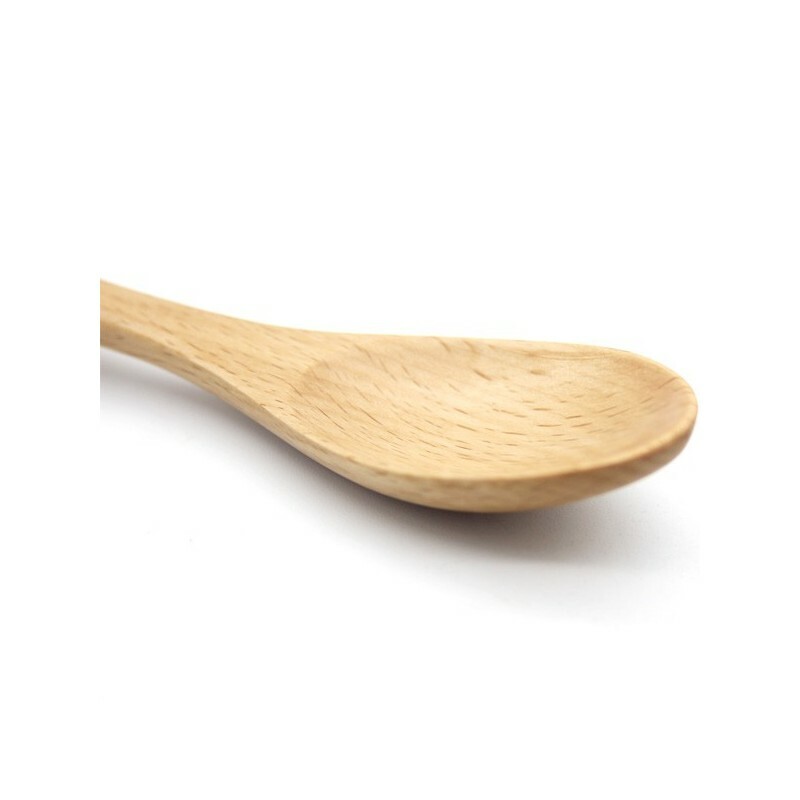 One spork only. 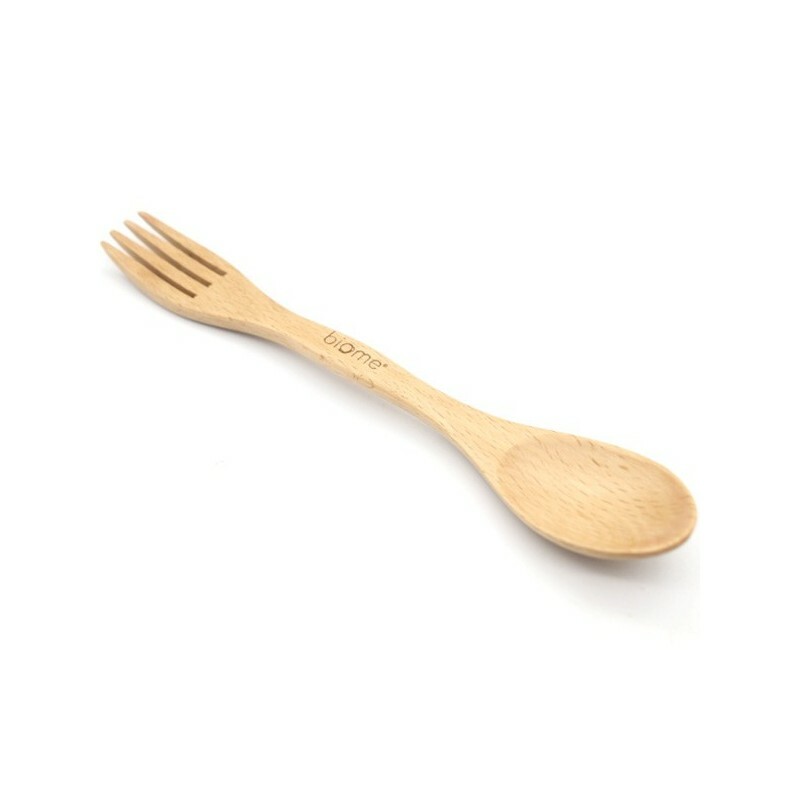 By reusing cutlery you refuse single use plastic which means less waste in landfill. 21cm x 3cm at widest. Beechwood and eco water-based lacquer. Biodegradable - break into smaller pieces and add to your compost.